Size: Net Wt 2 oz. STA-BIL Start Your Engines! Fuel System Revitalizer is designed to ensure easy starting of 2 and 4 cycle motors, smooth rough idling and stalling, and helps remove gum and varnish from throttle plate and carburetor. When Should I Use STA-BIL Start Your Engines! Brand? STA-BIL Start Your Engines! should be used anytime your engine begins to run rough or becomes difficult to start. It is particularly useful for use after long term storage when engines can be reluctant to start. 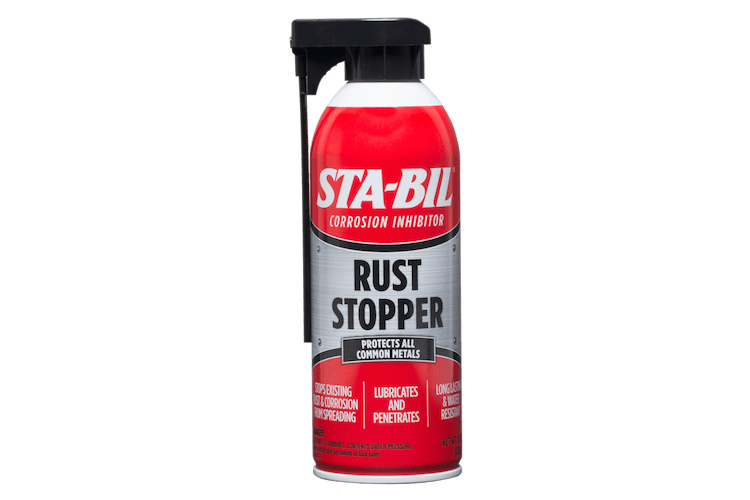 When used as directed, STA-BIL Start Your Engines! will not harm gasoline engines. STA-BIL Start Your Engines! brand is not recommended for diesel engines and may cause severe damage. The shelf life of STA-BIL Start Your Engines! Fuel System Revitalizer is 2 years from the date of purchase, provided it has been tightly capped and stored in a cool, dry place. Check to be sure fuel line and filters are clean and not plugged and fuel can flow. Check spark plug for deposits and clean or replace if required. Check fuel level in gas tank, add gasoline or OEM approved blend of 2-cycle oil and fresh gasoline, as needed, to assure sufficient gasoline to start engine. Invert the aerosol can upside down, press on the valve side and aim into the fuel tank (Do not spray product into the air or your face). The can will empty in ~30 – 60 seconds. Use of unmixed gasoline in a 2-cycle engine can cause engine failure and should never be attempted. Start per the OEM equipment manual recommended starting procedure. If engine does not start a mechanical repair may be required. Aerosol product dispenses from the top of the valve, turn can upside down and aim valve into fuel tank to dispense the product. Do not use near fire, flames, sparks or any sources of ignition (No Smoking). Use in well ventilated area. When should I use STA-BIL® Start Your Engines® brand? 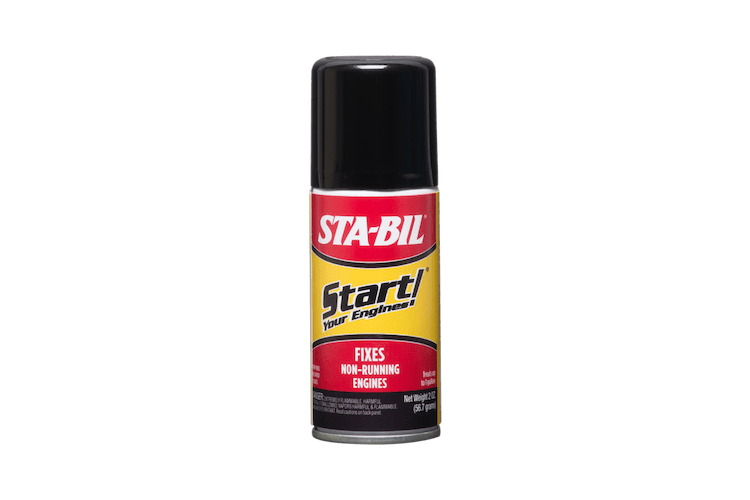 STA-BIL® Start Your Engines!® brand should be used anytime your engine begins to run rough or becomes difficult to start. It is particularly useful for use after long term storage when engines can be reluctant to start. Will STA-BIL® Start Your Engines!® brand harm my engine? 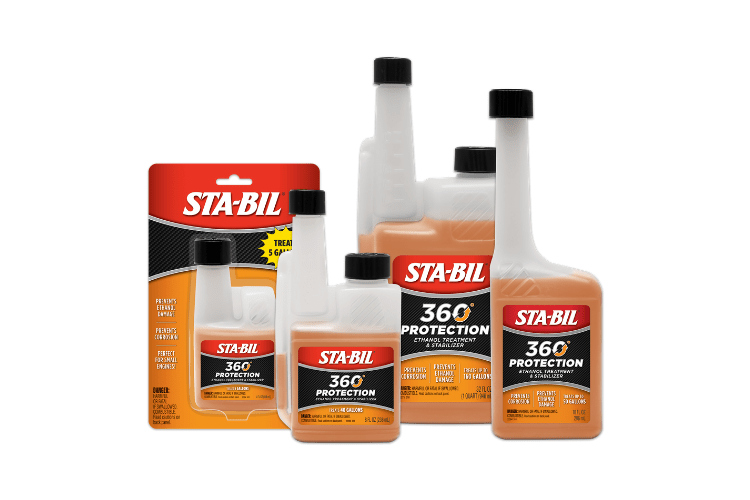 When used as directed, STA-BIL® Start Your Engines!® brand will not harm gasoline engines. Can I use STA-BIL® Start Your Engines!® brand in diesel engines? No! STA-BIL® Start Your Engines!® brand is not recommended for diesel engines and may cause severe damage. What Is Start Your Engines!® Fuel System Revitalizer? How Does This Fuel Additive Work? 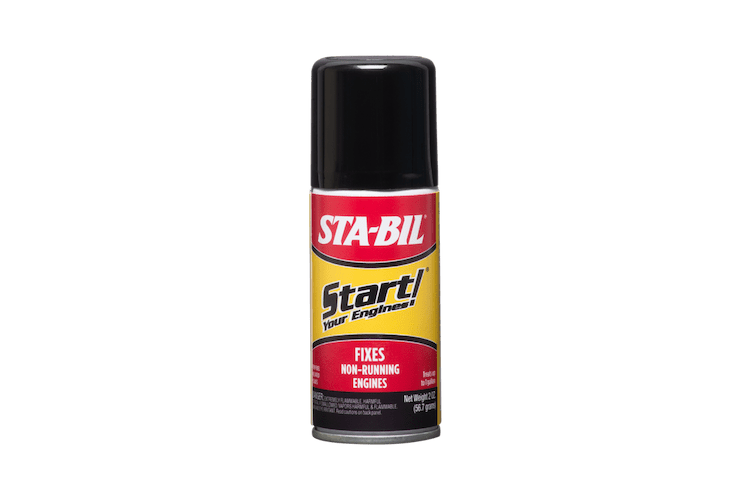 STA-BIL® Start Your Engines!® is an additive that ensures easy starting of equipment that has been sitting for a long time. It works by adding combustibility to old fuel and removes gum and varnish sediment in the fuel system. 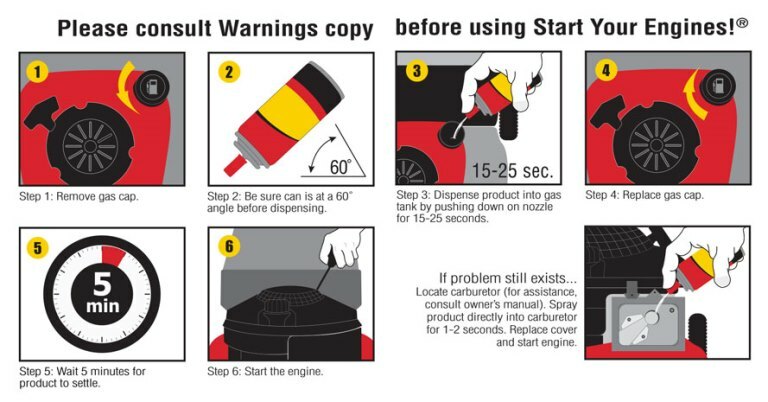 What is the shelf life of Start Your Engines!® Fuel Revitalizer? 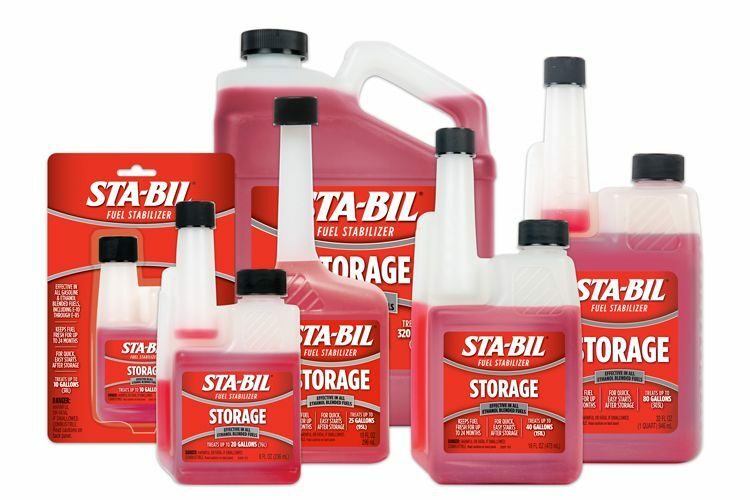 The shelf life of STA-BIL® Start Your Engines!® is 2 years from the date of purchase, provided it has been tightly capped and stored in a cool, dry place. STA-BIL® Start Your Engines!® is rated 4.6 out of 5 by 51. Rated 5 out of 5 by jptrucker1 from Cold Start Marvel I used START! in my Poulan chainsaw. It had been sitting for over 4 months with over the winter with no use. I chose this saw since it is usually a hard starter. I followed directions using half a bottle and topping off the tank with fresh fuel. The temperature was still below freezing. Three short pulls and the saw fired up. Then started on the first pull after that. I am impressed with this product and will be trying it in my generator and weed eater. Rated 5 out of 5 by Deerhunter from Worked as promised!! I had the hardest staring string trimmer. 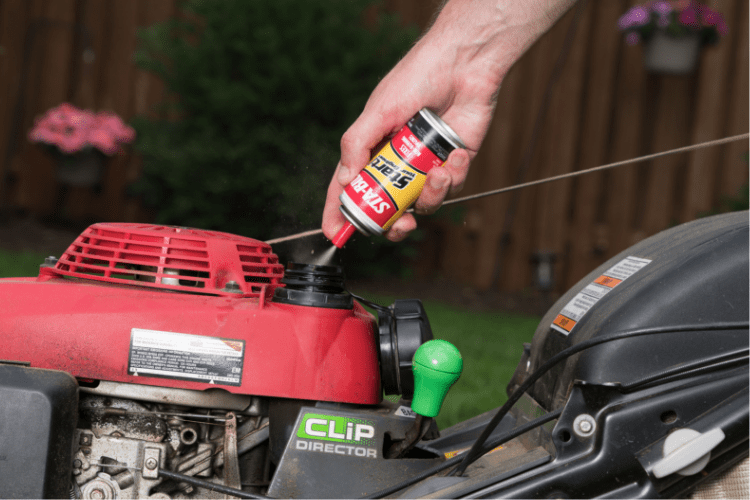 It was always a combination of cleaning the plug, choke, prime, cuss, repeat....Decided to try a can of Start Your Engines. Followed the instructions, and to my amazement this beast fired up after two pulls and has ran fine since. I have now used this in my cranky leaf blower with the same results. Recommended it to all my friends. Great product! Rated 5 out of 5 by Barnmb from This Stuff works I tried Start your engines a couple of times before I received this sample and it always worked. It could not be any easier just add Start your Engines to the gas tank pull the cord and it will start. I do wish they would make this in a larger size container I have a lawn tractor at my cottage and it has a large gas tank and I had to put 2 bottles in for it to work. Rated 5 out of 5 by Jmptrucker from Snowblowe started after sitting 2 years! Inherited an MTD snowblower that had been sitting 2 years. The snowblower would start then stall. A repairman said it was a carburator problem and wanted high $ amount to fix. I decided to take a chance with Startyourengines and I am happy to report it started right up and kept running and it performed fantastic for the 2 big recent snow storms we had! Rated 5 out of 5 by tbwin from START YOUR ENGINEES This product was shipped very fast and well packed. This stuff is incredible. The direction were clear as day. You just pour it in to your gas tank and watch the magic happen. I no longer have any issues starting any of my lawn equipment, 4-wheeler, or any other Gasoline toys etc. Rated 5 out of 5 by karsen418 from Amazing Every spring when getting out the push mower I dread trying to start it the first time. I added Start as the instructions say and to my amazement on the third pull the mower started! Unbelievable this product is a winner and I would highly recommend Start. Rated 5 out of 5 by OldFarmer from Vital in spring time A great product that we rely on on our farm, especially in the spring time. We try to prep everything in the fall but it never fails that something gets overlooked and this product is great to get the gummy out and get things ready for another year. Rated 5 out of 5 by Kale from Seems to keep gas stable I added this to my fuel for my lawn equipment in the spring. Since then, I typically mow the lawn with my string trimmer and push mower every two weeks and have not had any issues for the last five months. Both engines start quickly and run smooth. Rated 5 out of 5 by RMG70 from Quick starts! I used Start Your Engines this morning in two yard tools that always give me fits when I try to get them up and running, a Stihl BR340 backpack leaf blowe and a Stihl FS45 week whacked. Both fired up like they haven't been sitting for 5 months! Rated 1 out of 5 by Scott1 from Did not work Got my lawn mower out to use for the season, replaced the spark plug, air filter and freash gas, mower would not start. Bought some of your STA-BIL Start your engine product did what it said in the direction, mower still will not start. Rated 5 out of 5 by Stokjockey from Great Stuff !!! I was Very Happy with this Product and would purchase it again. It really helped an Old Lawn Mower I have START Up like a Champ, She is back Cutting grass again after I thought I would have to put her out to Pasture. Rated 4 out of 5 by Leroy17 from works well I placed the revitalizer in my lawn mower's gas tank which was half full of gas left from last fall. It started quickly and must have dissipated any water in the gas as it had power and ran very smooth . Rated 4 out of 5 by fishy from Very Good Product I tried Start Your Engines fuel revitalzer on a chain saw that wouldn't start. To my surprise it worked. I was going to take my chain saw to get it repaired so it saved me money. Very good products! Rated 5 out of 5 by rodnutrandy from Fuel system Stabilizer This will help start those engines I have that have sit too long and not used a lot , To be honest , I have not started any of them yet due to weather . But am sure it will be a big benefit when I do! Rated 1 out of 5 by dan123 from Is this for Snow Blowers? I tried this product on both of my snow blowers this winter and had no luck starting one and the other did not improve its need to run only on choke. Not sure if this is a snow blower quick fix. 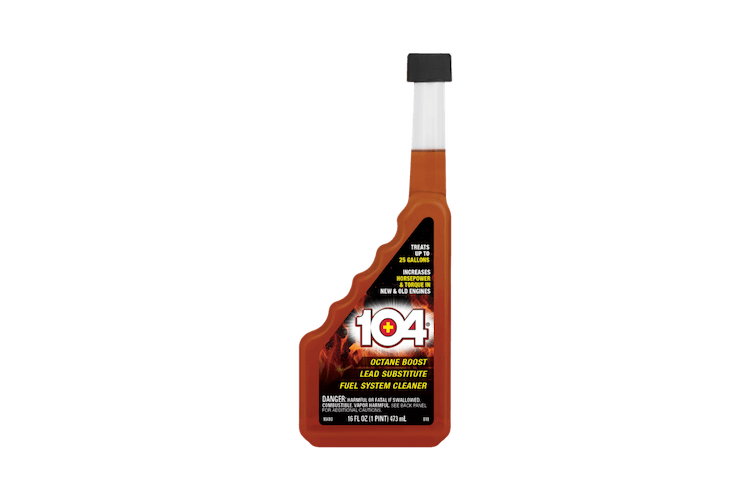 Rated 4 out of 5 by JJOHNSON from Seasonal Startup This product has Methyl Tertiary Ether, Xylene and Isopropanol in it to help with more volatile substances to help you start your engine like after winter storage. Almost like a shot of ether. Rated 5 out of 5 by SC13 from Start! worked great on stubborn Briggs & Stratton Tried out Start! on my edger that has required ether spray to get it going for years and was surprised with the good results. The engine started on the 2nd pull after adding Start! I'm sold. Rated 5 out of 5 by loro from seems to have cured an issue with my cam phazers Had an issue with cam phazer sensors. Replaced several times and fault continued. Ran a bottle of this through the engine and so far 1000 miles in, the issue appears to have gone away. Rated 5 out of 5 by Jake from Great product! Every spring I use Sta-Bil on my snowblower and in the fall I use it on all my gas powered lawn maintenance equipment. It works great and I highly recommend it. Rated 5 out of 5 by krjohn from Great Product I have a push lawn mower with a one gallon fuel tank, so this product should work perfectly. The mower is not used often, so Start! will stabilize the fuel. Rated 5 out of 5 by gregb from GREAT PRODUCT I have this is all my power equipment and just getting started for the season.Should help stabilizing the gas in a few product that get used infrequently! Rated 5 out of 5 by Mustangracer from Worked great in my F-150 Put start in my F-150 and after 100 miles of driving the engine run much smoother. Hope the magic works some more over the balance of fuel in the tank. Rated 5 out of 5 by al67 from Works as advertised Here is a product that actually works as advertised. Used on a lawn mower and edger and both fired right up ran smooth in a minute. Rated 4 out of 5 by Dennis from Great Product! This product ensured that all my yard maintenance equipment (i.e. Mower, trimmer) started and ran well after winter storage. Rated 5 out of 5 by ojrmike from Works Great! Start cuts right through old gas, helps -in my case- fire up the lawn mower! I cant wait to try it on my roto tiller!